Lambtown Sheep and Wool Festival, two sweaters, some weaving, the Fibonacci sequence, and some dog talk round out the topics for this episode. All this knitting has left us wishing fiber crafts were more aerobic! Come join the community on Ravelry or become a patron and support the show on our Patreon Page. 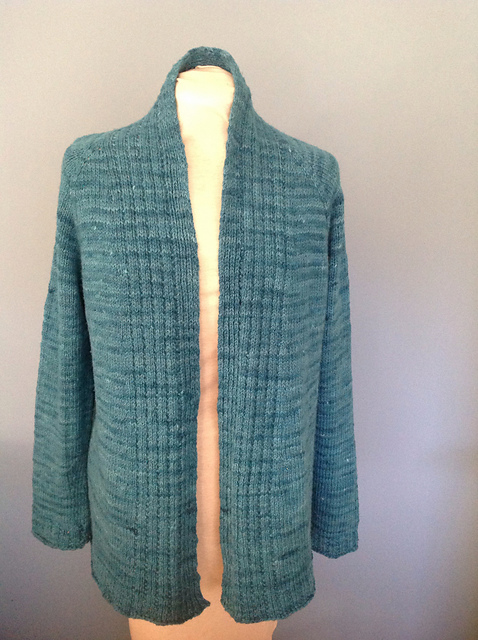 Marsha finished her Iba cardigan by Bonne Marie Burns, well sort of finished. She discovered after blocking the sleeves now need be shortened by about an inch. Marsha loves the cardigan! It fits well and the Rambouillet yarn is so soft, silky, and plump. 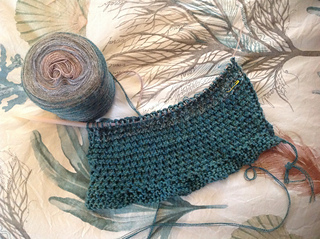 Marsha is also working on the picot bind off of her Elinya shawl by Ambah O'Brien. 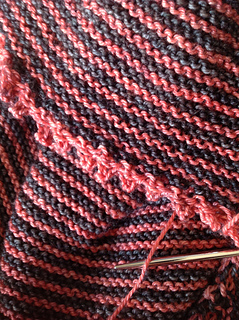 Marsha started a scarf named Slack Tide for her brother with Concentric by HiKoo by Skacel. She purchased the yarn at a great new shop in Seabrook, WA call String Theory Yarns and Fiber. The owner, Jean Chambers, is focusing on local yarns. 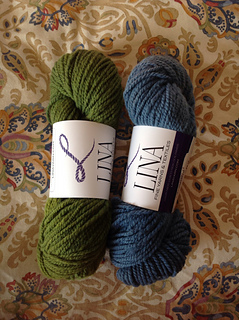 Marsha also bought two skeins of Lina Fine Yarns and Textiles from Montesano, WA. 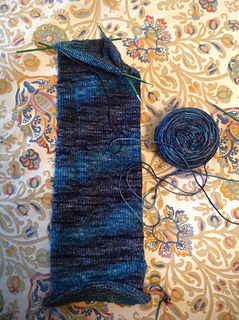 Marsha also started her after thought heel socks as part of our Learn Along. Kelly was at Lambtown over the weekend. Sheep shearing, sheepdog demos, sheep to shawl competition, fiber friends and a great marketplace made for a fantastic time. She also took a class on combing wool and spinning for luster from Stephenie Gaustad. 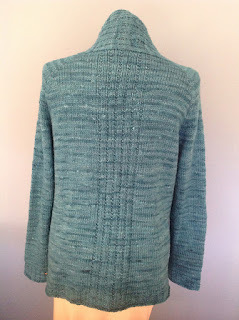 Her knitting continues to be monogamous, with all knitting energy going to the Running Water cardigan. She is using the Fibonacci sequence for the striping on the sweater. The sweater has a tubular bind off at the hem. Here is how it looks after the set-up rows with two layers. 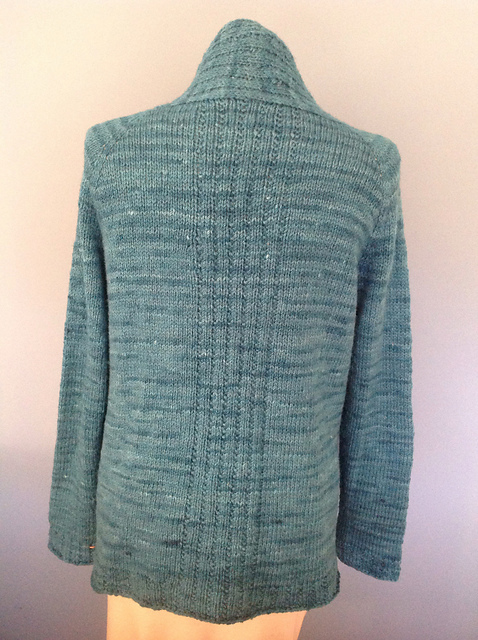 Here's how it looks after the two sides are grafted using Kitchener stitch. The big loom has also been warped and Kelly is doing a long narrow sampler which will make a good loom bench cushion. The Two Ewes Shop has small-batch Romney and Shetland yarns, and the climate beneficial Replenish Rambouillet, with some new fall colors. Kelly's favorite is a color called "Just Say No to Pumpkin Spice Bourbon." Is there ever more there than 1 skein available in the shop? For the price of Shillouetes they should not have carch between the tip and body. I use several kinds of needles with a different material for the tip and body and have never had that problem. I’d call them and complain if I were you.